Good job internet! Nikola Tesla—a noted promoter of eugenics who hated fat people and once fired one of his secretaries for being overweight—will soon have his very own statue in Silicon Valley! 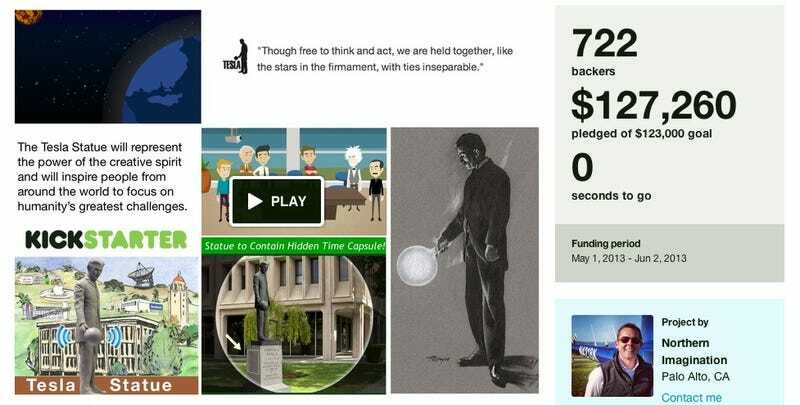 The Tesla statue's Kickstarter campaign surpassed its goal of $123,000 over the weekend, riding the wave of Tesla boosterism that has helped add dozens of myths to tech history over the past few years. Universally adored animal lover Thomas Edison was unavailable for comment.